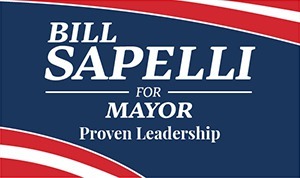 It is after a great deal of thought and input from family and friends, that I have decided to announce my candidacy for the office of Mayor of Agawam. It is my belief that I have the energy, desire and skillset to assist Agawam in reaching its full potential as a community where residents can be proud and businesses can thrive. My leadership philosophy is one of inclusion. It has always been my belief that everyone working in the school system is working on the same team toward a common goal and everyone’s role is of value. This approach has created a positive climate where students flourish, staff excels and parents feel confident that their children are in a safe and caring environment. I want to bring that philosophy, atmosphere and culture to Agawam as a whole. I grew up in Agawam, together with my five brothers and sisters. We are all proud graduates of Agawam Public Schools and believe that our beginnings in Agawam have contributed to our individual successes. Agawam has been and will always be my hometown. I am grateful for the experiences I had growing up in Agawam which lead to who I am today. Although my contribution to the schools has come to an end, my contribution to the town has not. It would be an honor and privilege to continue to serve our community in the capacity as Mayor. Therefore, I ask for your support at this time and your vote in November.